Chua Guan-Hock, S.C. of Des Voeux Chambers works on a wide range of matters including tax and shareholders disputes. 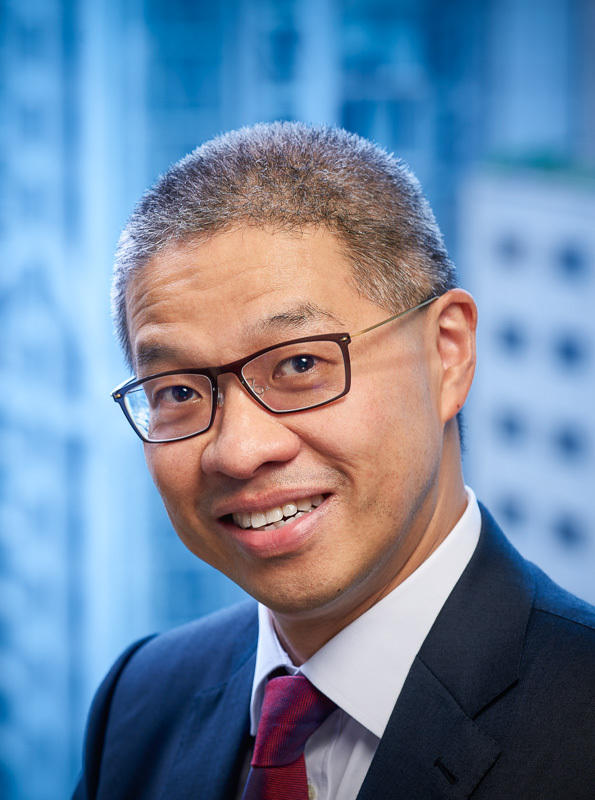 He is described as a “very diligent and good advocate” with one source writing that “he probably looks at details more than any other practitioner in Hong Kong” (Chambers & Partners 2016, Commercial Dispute Resolution). “Sources report that Chua Guan-Hock, S.C. of Des Voeux Chambers is a “good, very diligent advocate”. He is frequently instructed on complicated cross-border commercial litigation, and has over 20 years of experience working on such matters”. My practice covers a broad spectrum of advisory and advocacy work in 3 main areas : commercial litigation, company work, and tax and trusts matters. I also give expert opinions from time to time on Hong Kong law for use in overseas courts and tribunals. Over the past 30 years, my practice has included appearing and advising in several heavy commercial and company matters, notably in the Court of Final Appeal in ADS v. Wheelock Marden & Others (2000) 3 HKCFAR 70, after one of Hong Kong’s longest civil trials lasting 14 months. Over the years, I have worked with many leading Silks from London and Hong Kong in a wide variety of matters including in my main practice areas above. From 1988 to date, I have been and am a Member of Des Voeux Chambers. ADS v. Wheelock Marden & Others (2000) 3 HKCFAR 70,  2 BCLC 324. The leading Hong Kong authority on fraudulent trading under s.275 Companies Ordinance, and on misrepresentation. Appeared with David Oliver Q.C., following the C.A.’s decision ( 3 HKC 153) where he appeared with Robert Ribeiro S.C. (as he then was). And was junior to Robert G. Kotewall, SC during the trial which lasted some 14 months. Re Wong To Yick Wood Lock Ointment Ltd  1 HKC 484 (C.A.). A leading Hong Kong authority in shareholders’ disputes seeking winding-up and alternative remedies for unfairly prejudicial conduct; and for striking out a winding up prayer. Manufacturers Life Insurance of Canada v. Harvest Hero International Ltd & Others  1 HKLRD 828 (C.A.). A leading case on Norwich Pharmacal relief in Hong Kong. Re Asia Television Limited  1 HKLRD 607. Appeared for minority shareholder in well publicised unfair prejudice petition under s.168A Companies Ordinance concerning proper corporate practice and requirements of free television station licence. Obtained exceptional relief whereby majority shareholders were ordered to sell their majority stake. Shih Hua Investment Co Ltd v. Zhong Aidong  3 HKC 393 Appeared for 50% shareholder on petition on unfair prejudice and just and equitable winding up. Obtained exceptional interim relief, to reconstitute board of directors with independent professionals. C.I.R. v. Kwong Mile Services Ltd (2004) 7 HKCFAR 275. A leading authority on source of profits under s.14 Inland Revenue Ordinance. Appeared with Robert Kotewall S.C.
Arrowtown Assets Ltd v. Collector of Stamp Revenue (2003) 3 HKCFAR 517. The leading Hong Kong decision on the Ramsay doctrine of fiscal nullity, and for stamp duty relief for inter-group transfers under s.45 Stamp Duty Ordinance. Appeared with David Goldberg Q.C. C.I.R. v. Datatronic  4 HKLRD 675 (C.A.). A leading case involving manufacturing profits under s.14 Inland Revenue Ordinance. Re Estate of Au Kong Tim (No. 3)  4 HKLRD 284. Appeared in probate trial which took 3 weeks, to successfully propound will of testator aged 92, with a large estate. Established due execution by assisted or guided hand, testamentary capacity, and knowledge and approval. Appeal allowed by C.A. in  2 HKLRD 864 on grounds not raised by Plaintiffs. Application for leave to appeal dismissed:  HKCFA 61.